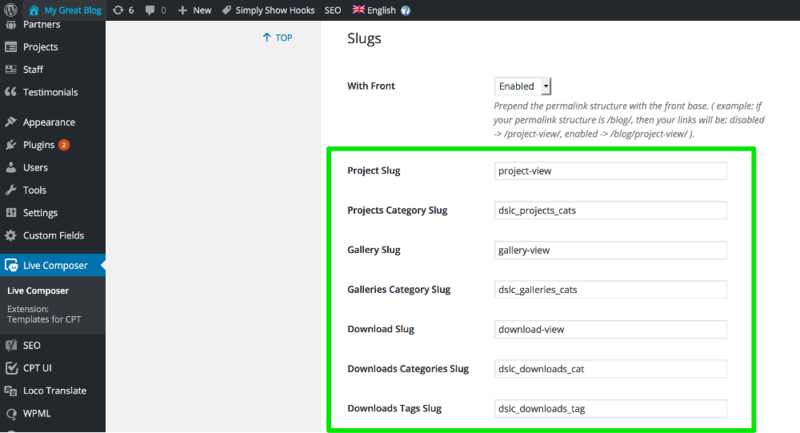 You can change the custom post slugs for Projects, Galleries, Staff, Downloads, Testimonials and Parters posts. Make sure to visit permalinks section after making these changes! After making changes to the custom post type slugs, you'll have to visit WP Admin > Settings > Permalinks page. No need to change anything, just open this page in your browser. This way WordPress will know that URL in the database should be updated.